The Colorado Attorney Oath of Admission states "I do solemnly swear....I will use my knowledge of the law for the better of society and the improvement of the legal system." 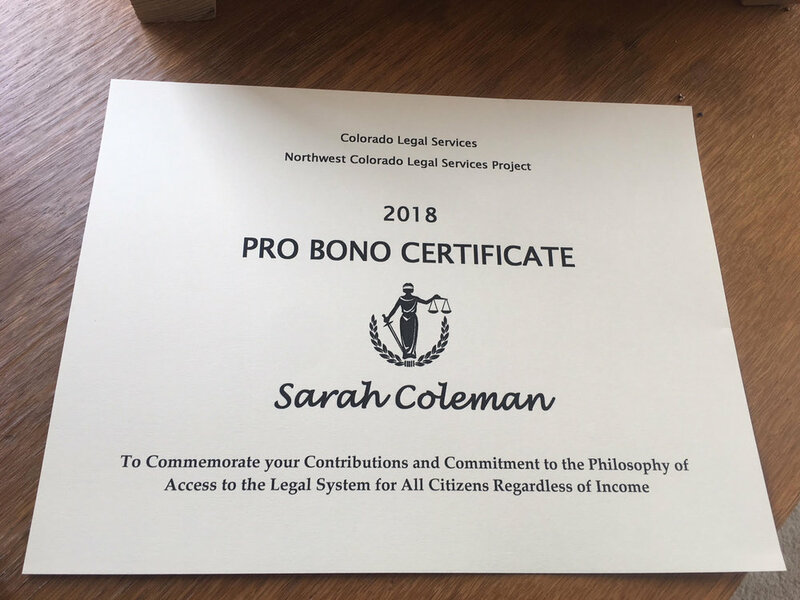 I love that the legal profession cares about pro bono work and access to justice issues. I am proud to do my small part! When Should I Call a Freelance Lawyer? Thinking about Freelance Legal Services? Why work with a freelance lawyer? Hiring lawyers and freelance lawyers should enter into a written fee agreement, and this post discusses recommended terms.